I have been busy busy busy in my sewing room lately making so many things. I'm seriously loving the fact that I have five nieces now and a nephew (and another on the way which will be a surprise). 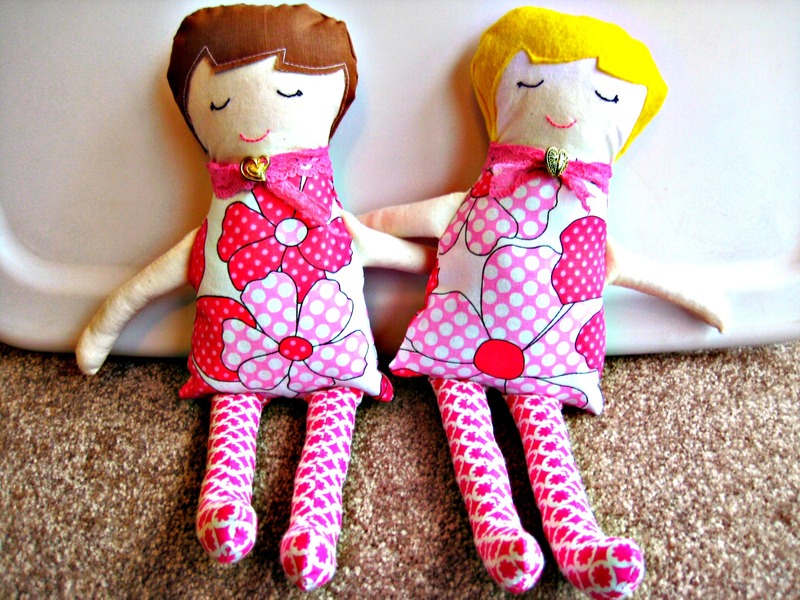 I find myself buried in ideas of toys I can make, cute purses, clothes, etc. I also pulled out my Flower Garden quilt again and have been working away at it. Maybe someday I will finish it. It's such a relaxing thing to stitch on in the evening. 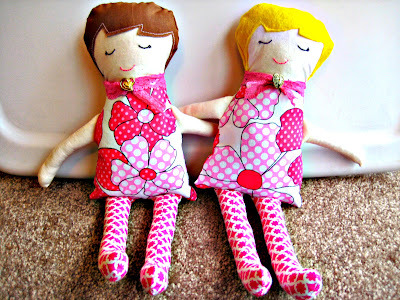 Those dollies are so sweet! 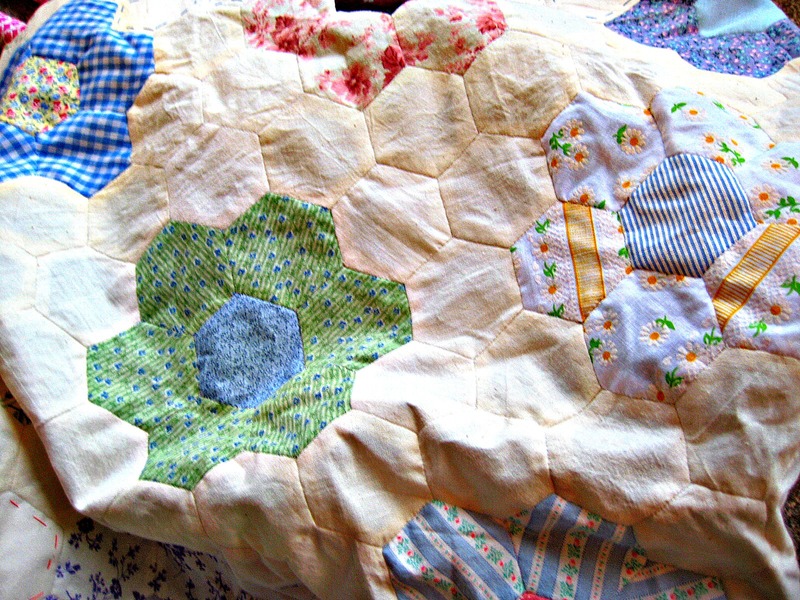 Your flower garden quilt is so beautiful! I got mine out the other day. I need to make a bunch of muslin hexagons now that I used all the ones I had made. I am going to need to make more muslin hexagons soon too! Only a few left! Thanks AnnaMae! You should definitely make some for Gwen! I think it would be fun to make little clothes for them too!